Let the good times roll y'all! Tyler, growing up in nearby Houston, spent time in New Orleans in his formative years. I've always been a New Orleans fan. I think it was the start of my total obsession with all things french. When I was younger we went to New Orleans and there was just something about it that fascinated me. I've gotten a chance to go there a couple of times during my life, but I'd never walked the streets hand and hand with the love of my life. So, this spring when we had some time off, Tyler and I decided it was time for the both of us to go there together. 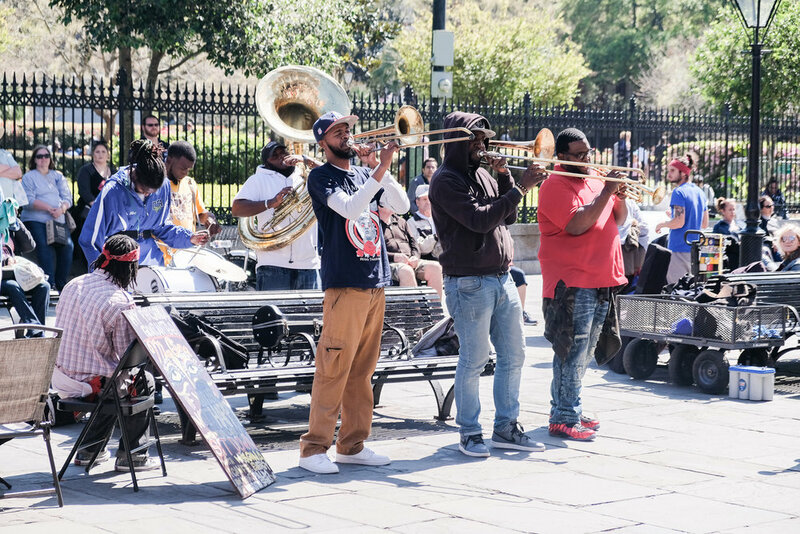 New Orleans has a little bit for everyone, and it is what you make it. If you decide you want to go and party-hardy then you can. If you want to go and just sit and read in the park, drink coffee, and eat beignets – you can do that too. If you want to take well over 10,000 steps walking from store to store, gallery to gallery, that's available as well. One thing everyone who visits New Orleans can agree on... you're going to gain at least 10 lbs because the food is just way too good. I love traveling with Tyler, even early on in our friendship we learned we were great travel buddies. He's my perfect counterpart, and I his. He brings out my "just enjoy the moment" side and I bring out his - "oh I'm glad we thought about what we're going to do today" side. Our first trip together was in college – it was spring break and while every one else was headed to Gulf Shores Alabama, we were headed to Manhattan to walk the streets, eat, and spend our days lost in the Met. When we got to the airport and I pulled out a daily schedule for the next 3 days I think he thought "Dear Lord, what am I doing?!" In the end we ditched 1/3rd of the plan (or so), spent some leisure hours walking through Central Park, and just enjoyed the moments together. Since then I've toned down my obsessive planning, I still make a list, but it's not a minute by minute as it was those first few trips. New Orleans is a culinary adventure. There's food that you won't get anywhere else. 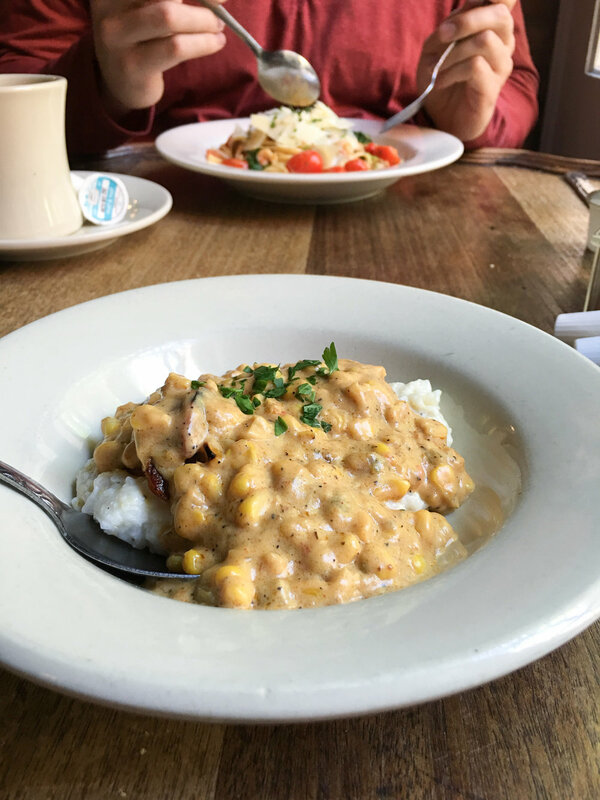 New Orleans has had a mix of influences, and those influences have shaped what's served on your plate in very unique ways. The French influence ensures that there's plenty of butter in every dish. The creole cuisine is a special balance of spices, complex ingredients and techniques. Thank goodness for the cajuns and their shellfish. All these influences are tied together with a little bit of soul. Pretty much everywhere we ate was a winner... except for Cafe Beignet - I'm a Cafe Du Monde girl through and through. Also mentioned, but not our favorite, Napoleon House. It was so, so. One of our first meals was at Mr. B's Bistro – I totally forgot to take pictures, but it's perfect for an early lunch. 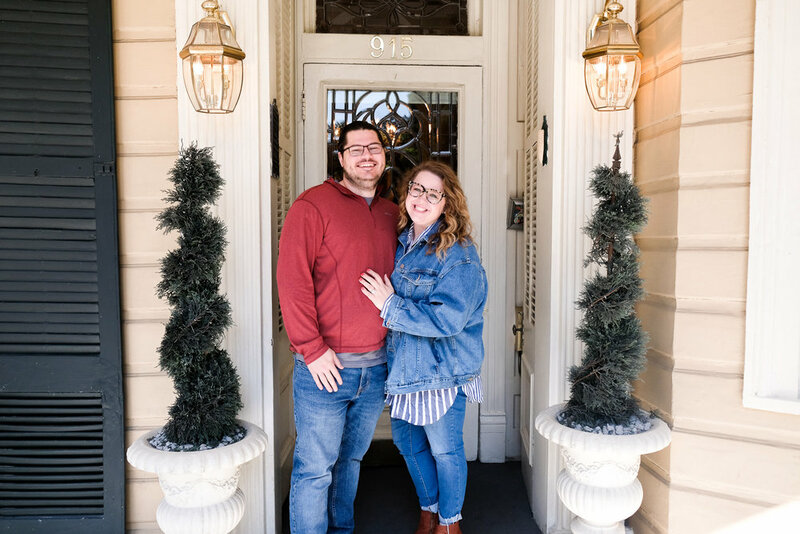 Tableau will always hold a special place in our hearts because it's where we went right after we got engaged. But aside from that night of celebration, we ate brunch here the day after we got engaged, and dinner a couple days later. As you can tell, we were fans. Brunch was FABULOUS and probably one of our best meals in general, and dinner delicious. 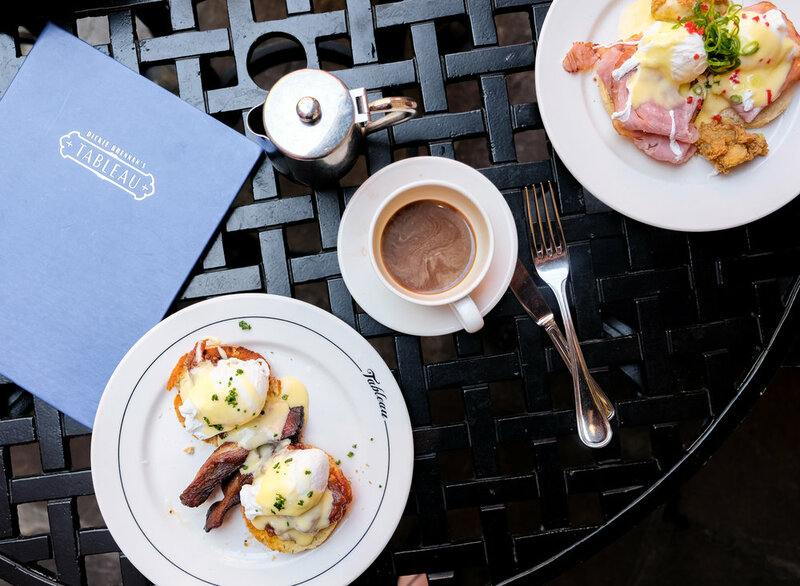 For brunch we got to sit out in the courtyard, listen to some live music from Jackson Square, sip on our coffee, and just enjoy being together. Dinner was great (sorry no pictures from that), but let's just say anywhere you can add fried oysters to top off your dish, we're all about it. I think Sylvain was our favorite meal. 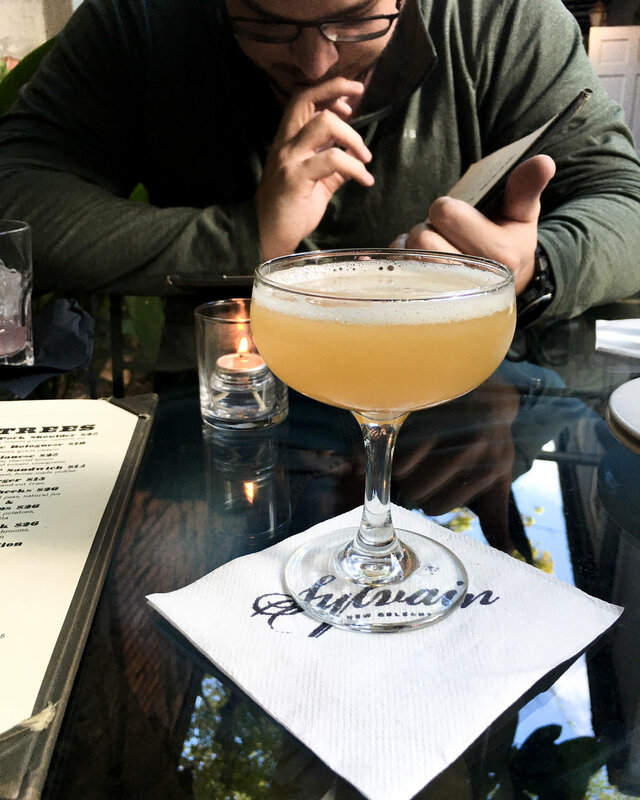 The cocktails were amazing, and the food was on par with everything you think of when you're thinking of a culinary adventure like NOLA. We basically wanted to try everything on the menu. We came pretty close. By the end of the meal we were well fed and a little tipsy. I think decor-wise this was my favorite spot. I could take everything about it, copy + paste it in to our future home. I love places that look great and serve great food, don't you?! We went to Cafe Amelie our last day in New Orleans. Make sure and make a reservation or show up right when they open. It's always packed and the wait is always 40 minutes or more. The food was phenomenal and the setting was perfect for the last meal in NOLA. 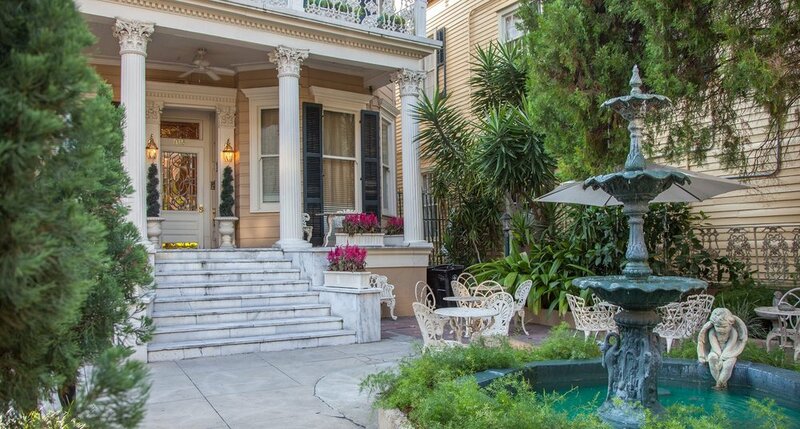 It's got a great courtyard and all your traditional New Orleans fare. I had the shrimp and grits and it took all of me not to lick the bowl. This is the perfect "Oh no! We totally forgot to plan out this lunch" place. It's packed with locals, so get there early. The food is solid, and the menu has something for everyone. Normally I'd never disagree with Alton Brown, but on this one I have to say – he's wrong. Cafe Du Monde is by far the better cafe au lait and begniets place. The line here is just as ridiculous but the ambiance is no where the same and neither is the fried dough. 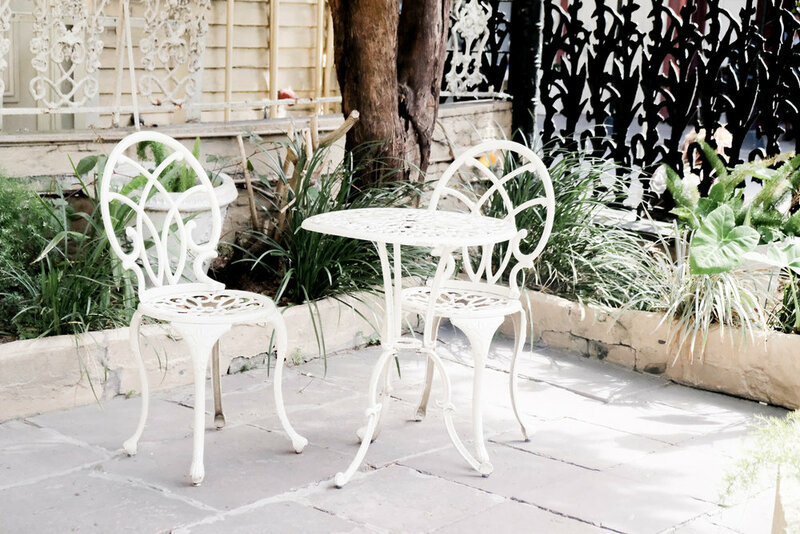 Try to sit outside and enjoy their great courtyard. The food is so, so but it is a try late-night New Orleans style adventure. Just go and sit in the courtyard here. Fun Fact: Tyler tried to propose in this courtyard but there were always people coming in and out. We did the tri-centennial tour. It was so fun learning about the history of New Orleans. There's so many different layers to the city. This walked you through all the various aspects of how it came about, who built it, and why it is the way that it is today. Such a fun and different kind of store. It's filled with unique toys and collectibles. 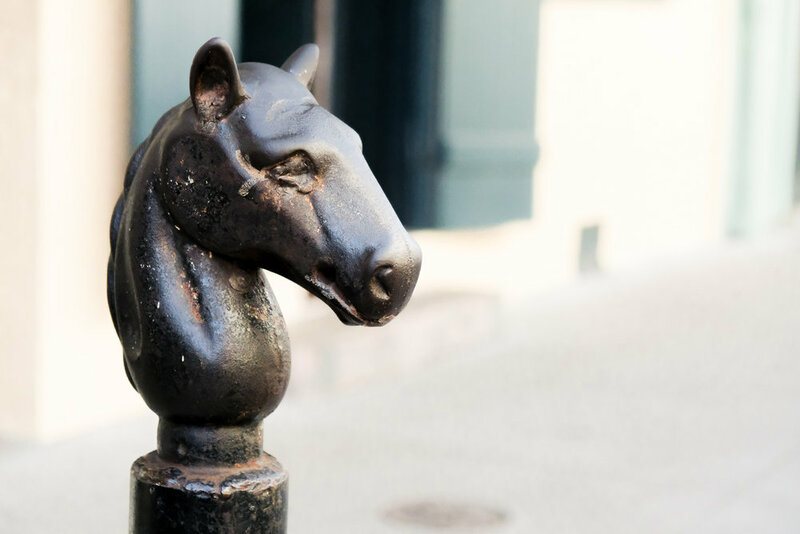 It's a fun pit stop on your shopping adventures in the French Quarter. We decided to forgo using our Hilton points and stay in something a little more NOLA inspired. 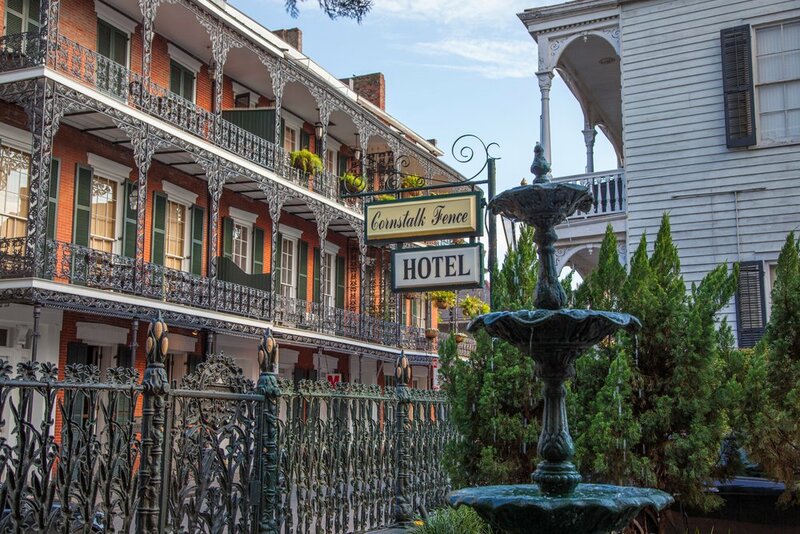 We stayed at the Cornstalk Fence Hotel right in the heart of the French Quarter. 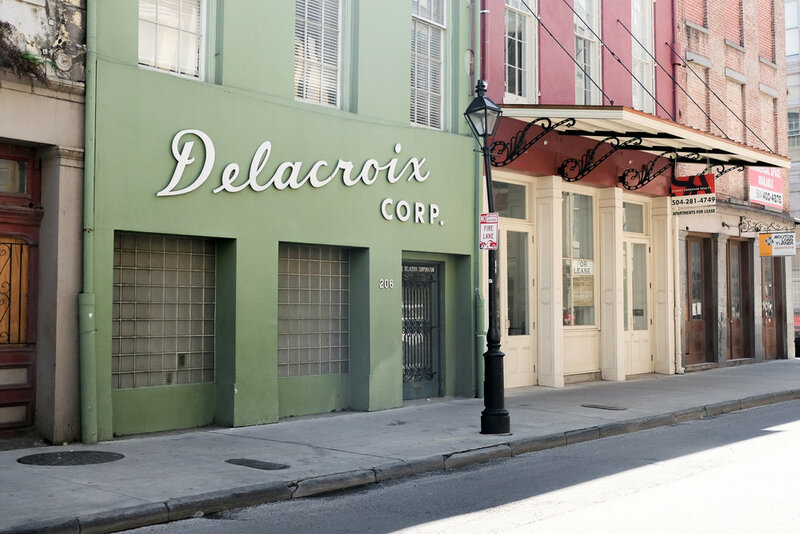 It was the perfect location, central to all things New Orleans. Built in 1816, it's the perfect mix of old-world charm and history. 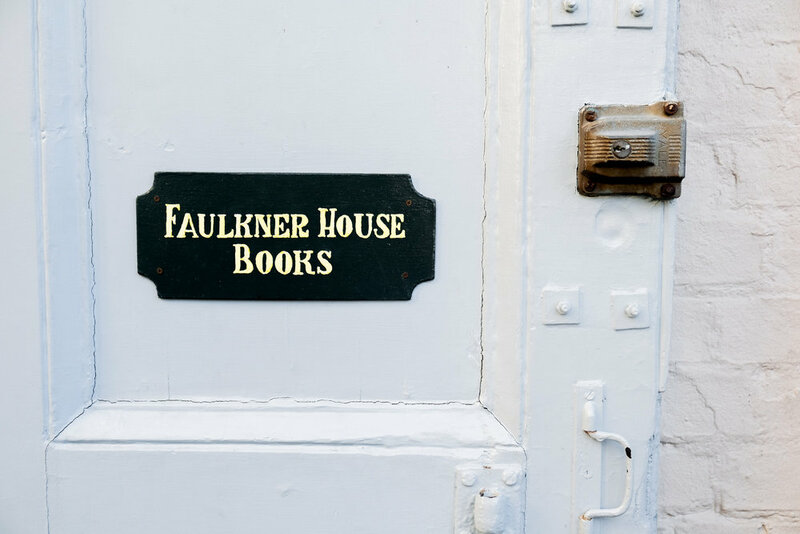 We had a wonderful time sitting on the front porch, watching people morning and night, listening to the guitarists parked outside across the street, and enjoying the laid-back lifestyle that only New Orleans brings. The staff was so sweet – they even made us do a little photoshoot after we got engaged. It was such a fun place to stay and I'm so glad it's now part of our official story as a couple.